Turn used coffee grounds into Coffee Granita! You've brewed your coffee and enjoyed it, but that doesn't mean your java experience ends there and you have to toss the spent grounds in the trash. 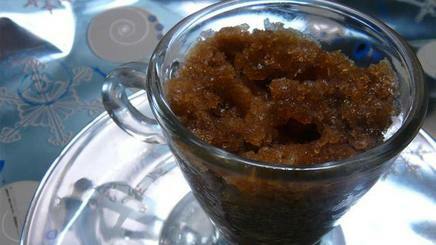 The Food Network suggests creating another treat from them: cool coffee granita. Steep 1/2 cup grounds in 2 cups boiling water, covered, 8 minutes; strain through a coffee filter. Whisk in 1/4 cup sugar and a pinch of salt. Pour into a metal baking dish and freeze; scrape with a fork. The extra steeping, freezing, and added condiments make the granitas taste as good as if you used fresh-brewed coffee for this process—plus you get more mileage for those expensive coffee beans.